Tesla says it delivered 50,580 electric cars in 2015 and said it's on track to scale up production in the year ahead. Production of its new electric SUV "has been increasing exponentially," the company said Sunday, adding that it's on track to start making 238 Model X SUVs per week. The company also unveiled how many of its customers got their cars in 2015, and it wasn't as many as the company would have liked. Deliveries were at the low end of the guidance CEO Elon Musk gave in October of "between 50,000 and 55,000." 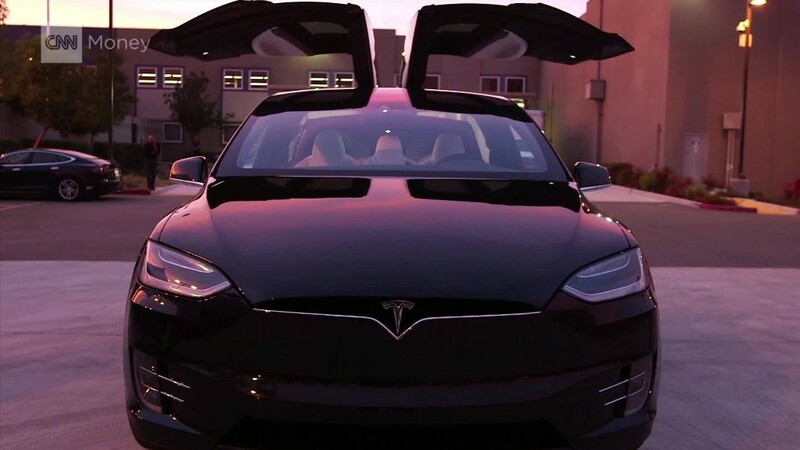 And that estimate was weaker than Musk's initial estimate in March that the company would reach 55,000. But it has high hopes for 2016. Tesla's new "Gigafactory" in Nevada is fired up, and the company is now selling and churning out more vehicles than ever. The Model X started rolling into driveways in September. Tesla delivered 208 of them last quarter and another 299 are prepped for delivery early this year, Tesla said Sunday. The company plans to start producing at least 1,600 Model X and Model S cars a week by the end of 2016. Tesla is also expecting more customers to opt for upgrades and add-on features for the Model X in 2016, which could drive up average prices. Investors were pleased by that outlook. Tesla shares spiked 11% after its most recent sales report was released on November 3.